Abstract: In order to conquer the global market soon, Airwheel electric unicycle commits an all-around support to partners regarding brand authorization and to develop the market together and boost the sales volume. Airwheel electric unicycle is an independently developed high-end intelligent transporter which realizes precise and agile control thanks to aerospace attitude control, fuzzy software algorithm and a leading gyro-system. Riders control the unit via mere leg movements without involvement of hands. Airwheel electric unicycle, once launched to European and American markets, has achieved high recognition as the optimal solution to alleviate traffic congestion and commute green. Compared with traditional transporters such as the car, bike, motorcycle and train, Airwheel electric unicycle is not gasoline-fueled, and takes up much less space, which contributes to lower daily commute cost and a more eco-friendly lifestyle. 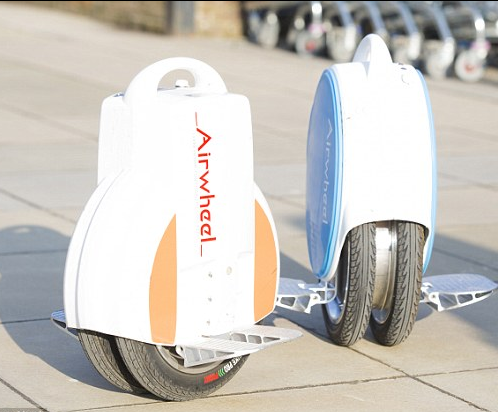 With its super popularity and premium reputation, Airwheel electric unicycle is alleged by analysts as one of the most promising transporters. As any demanded product enjoys broad market potential, Airwheel electric unicycle has become a hot product enquired by numerous European and American distributors, and the CE certification cleared the last barrier on the road. In order to conquer the global market soon, Airwheel commits an all-around support to partners regarding brand authorization and to develop the market together and boost the sales volume. Currently Airwheel electric unicycle is recruiting interested customers worldwide to share the fruit of brand. Airwheel Nederland BV, Airwheel’s official distributor in the Netherlands, assures that Airwheel products will see a limitless future. With enhanced support to end dealers and exclusive distributors, the worldwide prevalence of personal transporters for short trips is underway. Previous：Is S3 really a qualified smart electric unicycle?